If you haven’t already voted for A Legendary Event to become 2010 Spotlight Award Catering Company of the Year, you only have three days left!!! To vote, click on the black box above and enter your e-mail address. It only takes a few minutes and we would be honored to have your support. The voting deadline is on January 31st at midnight. Happy Voting! This entry was posted in A Legendary Event, altanta caterer, caterers secrets, entertaining, event solutions magazine, extraordinary events, national assocation of catering executives, spotlight awards, Tony Conway. Bookmark the permalink. 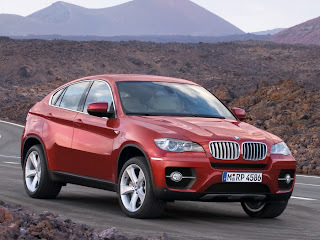 We’ve been “revved up” for two weeks about the BMW Concept X6 Active Hybrid. Thanks to Los Angeles-based Extraordinary Events, we’ve been hosting 200 international journalists at Road Atlanta in Braselton. The results are top secret but if we were appraising this efficient, cutting edge vehicle we’d definitely give it four out of four wheels. BMW calls the BMW Concept X6 Active Hybrid “the world’s first Sports Activity Coupe.” The vehicle is modern, muscular, and sophisticated. Currently it’s available in two colors-Melbourne Red and Space Grey. We’re semi-certain that we’ve seen one of Tyler Perry’s producers driving around in one of these uber-cool vehicles. This entry was posted in A Legendary Event, atlanta caterers, bmw, extraordinary events, tyler perry. Bookmark the permalink.